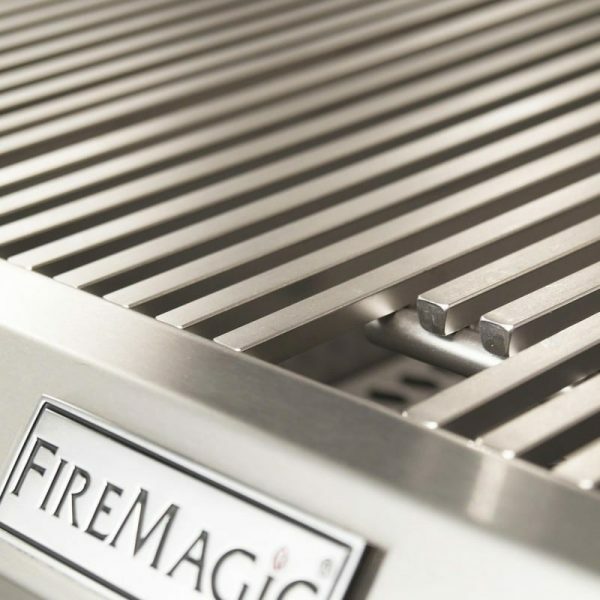 The Fire Magic Echelon Diamond E660 Analog Gas BBQ Grill with Double Side Burner offers performance, luxury, beauty, and innovation. 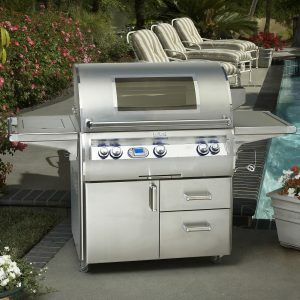 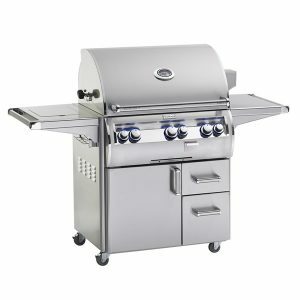 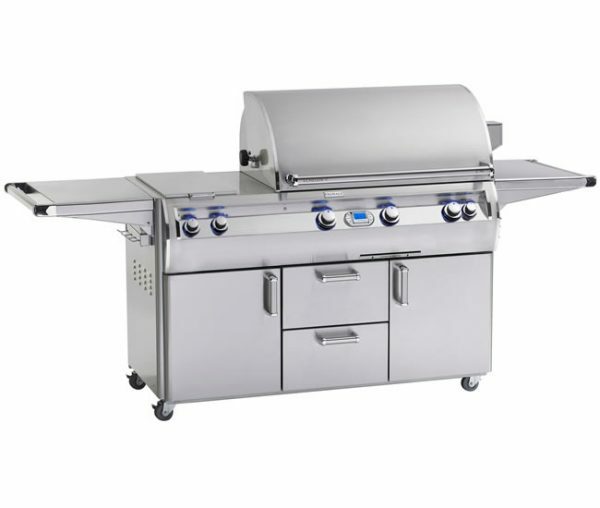 Powered by exclusive cast stainless steel “E” burners, this grill is guaranteed for life. 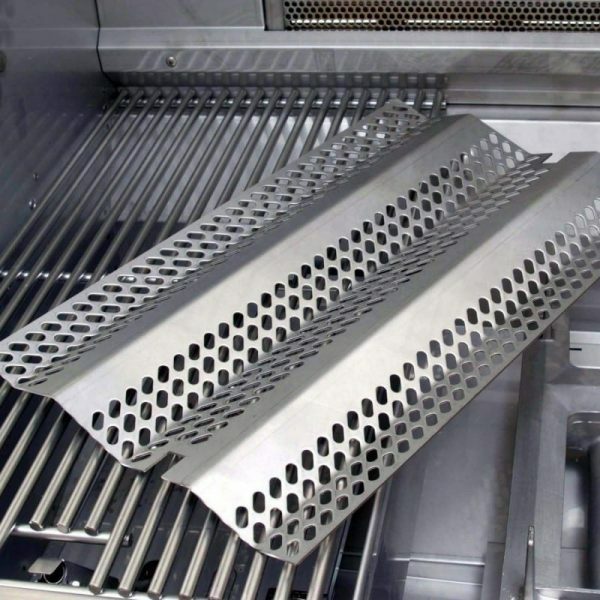 Flavor grids are engineered for durability and even heat distribution. 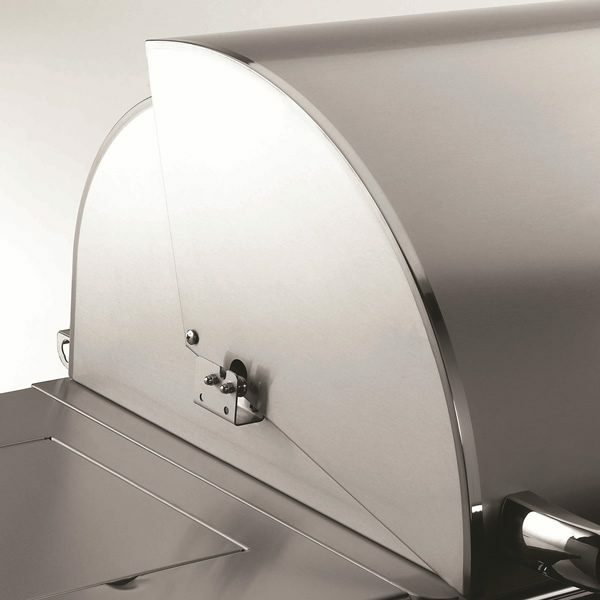 Heat zone separators isolate cooking zones, so food in each zone may be grilled at different temperatures. 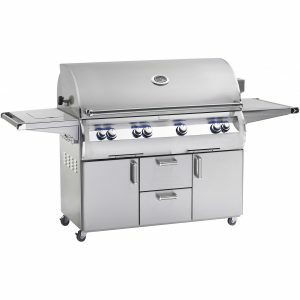 This Fire Magic Echelon Diamond E660 Analog Gas BBQ Grill with Double Side Burner is the top of the line, superior grill. 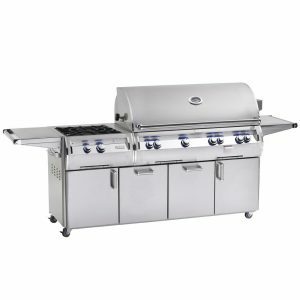 This stand alone grill has an all stainless steel cart with insulated storage door and two storage drawers. 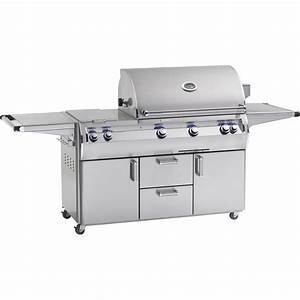 It features polished, rounded corners for added style and safety, as well as a retractable tool holder, paper towel holder, and a sliding propane cylinder tray with latch on propane models. 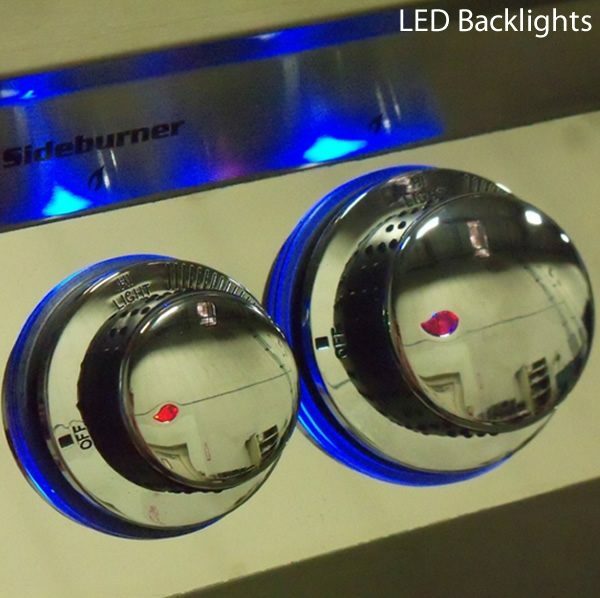 The shelves fold-down with polished edges and side handle.